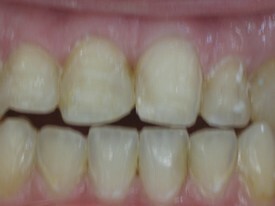 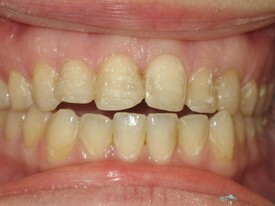 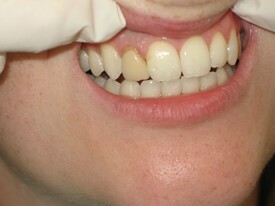 Before: Dental work over time can stain or lose its gloss. 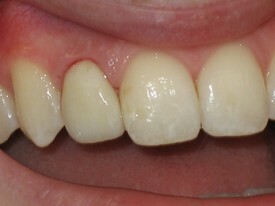 Sometimes a little more work is needed to achieve a desired result. 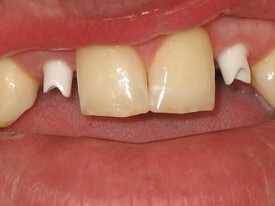 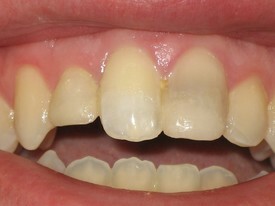 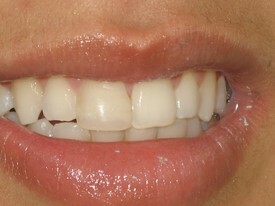 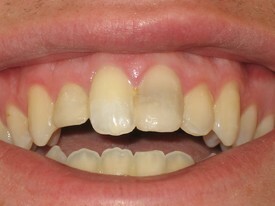 After: Veneers offer a mix of long term stable results while trying to converse most of your health tooth structure. 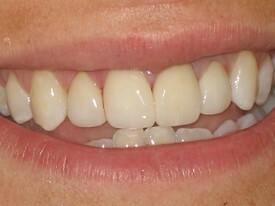 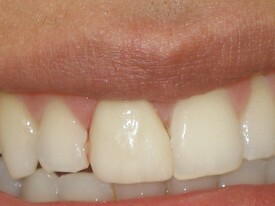 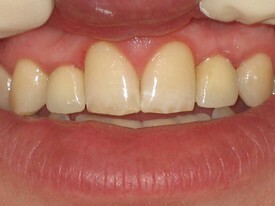 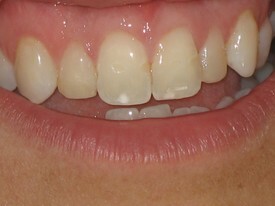 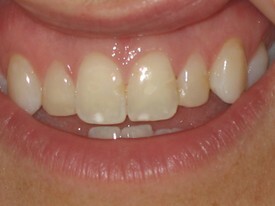 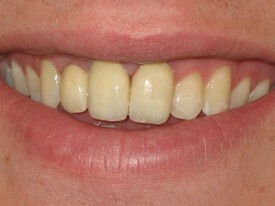 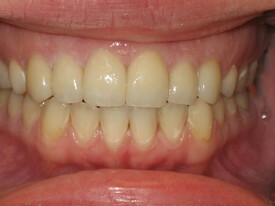 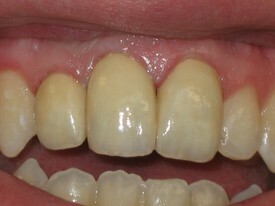 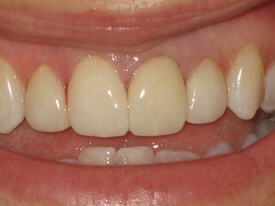 After: Veneers were placed on teeth 7, 8, 9, 10 to give a uniform and relatively conservative result. 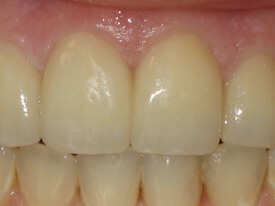 Notice the change in color and size of the lateral incisors as they were brought more forward to achieve a better size proportion between the central and lateral teeth.